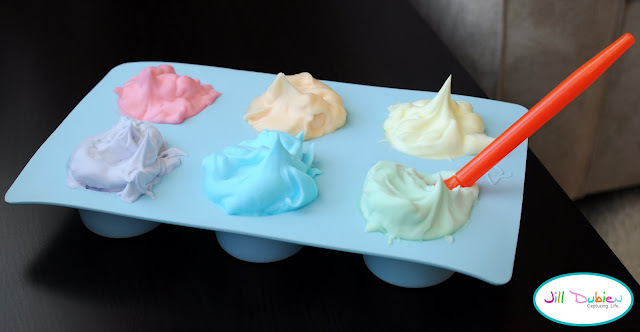 So cute to make these paints for your child in the tub. Talk about fun in the tub. Check out Meet the Dubiens to see how she made these.